Don Wharton grew up in Fort Wayne, Indiana. He attended Bethlehem Lutheran Grade School in Fort Wayne and Central Lutheran Grade School in New Haven, IN. He graduated from New Haven High School in 1970. 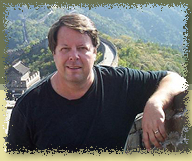 Don went to Concordia Lutheran Junior College and graduated from Eastern Michigan University in 1975. He married Leslie Mueller in 1976, and they have five children. Don left a teaching and coaching position at Concordia College in Ann Arbor, MI in 1979 to pursue a full-time music ministry. He has performed over 3,000 concerts at churches, schools and conventions in all 50 states and three foreign countries. He has written over 250 songs, recorded 20 album projects, written 3 books and 5 screenplays, and survived one plane crash. See the rescue for more details. 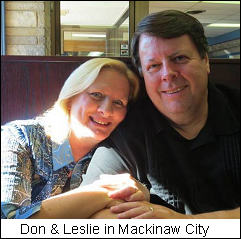 After living in Michigan and Tennessee, Don and Leslie currently live in Fort Wayne where Don continues to pursue a full schedule of concerts and speaking engagements, writing, and, most recently, producing films.